This year was a very good vintage for quince [coing in French], not that I came through any bad year (except maybe 2014) since B.' parents gave me a baby cognassier (quince tree) to plant in the Loire in 2000. I never pruned the tree and it felt quickly at home, yielding lots of fruits year after year with its thin branches bending heavily on the load of fruits every september and october. Quince isn't an easy fruit to eat, you don't just grab one and crunch it like an apple, my improvised recipe for years to eat them was to cut one or two in half as such with the skin and put them in the microwave for 2 to 4 minutes; once the temperature had cooled you could eat them right away, with enough of natural sugar in it in spite of its reputation as lacking of it, and the unique texture made it a nice experience, B. would often use some for breakfast. But this wonder tree gives us maybe 80 kg of fruit every year (possibly more, that's a rough estimation) and if you wait too much, unsprayed quince tends to rot at some point, so I usually gave some of the harvest load to B. 's parents if we were to go to Burgundy in those weeks, and also to a neighbors in Paris, with some would give us a couple of jelly jars in return. This fall 2015 was so plentiful (pic on left, sorry it's the only one with full tree in 2016, was shot with my phone) that even though I gave away lots of it I was still faced with this big load of fruit, thinking I shouldn't rely entirely on other people to process it, so I decided to try my chance and make some quince jelly myself, B. not having the time to take care of it, plus she was in Japan in october/november anyway when it was becoming urgent to deal with the quince stack. I also keep thinking for a while that Mother Nature had us receive these odd fruits for a reason, not just to upset us with frustration while looking on ways to make them edible. These fruits are given to us just before winter and they certainly contain precious components which we need to go through winter (after checking on the web, it's indeed full of health benefits). Quince has also a particular umami or texture feel which you don't find often in fruits, it almost reminds me lovely sticking mouth feel of cartilaginous meat like ox tail or pork feet, with a different taste of course. All these feelings and awareness pushed me to take the matter into my hands and do what our ancestors did, before we became spoiled by the laziness induced by our consumerist way of life where shopping is viewed as more attractive than doing things yourself. You see here the step one, considering you got your lot of well-ripen quince : choose a reasonably-big pot and cut as many quinces as you'll need to fill it to the top. Just cut the fruit in 4 or barely more, it's just to ease the cooking. Keep everything, the seeds, the skin, it's all mysteriously good for your jelly. You can fill your pot all the while cutting your quinces, stopping when you reach the top. This pot has its lid which helps fasten the cooking by keeping the steam, you might use that, but a regular boiling pan is doing a good job too. Then fill the pan or pot to the top with water so that the fruits are almost under water, and put it to boil for 45 minutes. Let's get back at this simple recipe : after the pot with the water and quince boiled some 45 minutes (the lid helps that not too much water evaporates) you stop the cooking and separate the water (or the liquid as it's already more like quince juice than water), pouring what we could call the free run juice in another container (that other container must stand its high temperature, no plastic). The following stage is a bit more tricky, I'll call it the pressing : Once the Juice/water is separated, you still have to try to retrieve as much as possible of the juice and the natural gelatin present in the quince parts. For that you have to press the quince parts which at this stage are very soft and melted in order to let the residual liquid go out and concentrate the substance of the water/juice. The best way I found was to take a thin kitchen towel, put a bunch of quince parts in it and wrap them tight in the kitchen towel before squeezing the small batch patiently to let a trickle of thicker juice come out through the towel. You have to be patient, that the hard part, the juice going through the towel is not big but it's concentrated in the best things, this will make your jelly a jelly without having to add the jellifying agent or additive. Also, especially after you just took the water/juice out of the kitchen pan, the fruit parts are really hot and at the beginning I'd use two wooden spatula to squeeze the towel and extract the precious juice. If I find a small basket press on a flea market in a village I may try this, like in this story of mine about apple pressing for cider. That's where you might suffer : in this "pressing stage", batch after batch of quince-wrapped-in-kitchen-towel you end up with a burn feel on your hands, the fruit parts being still hot and somehow I thought it was better not to leave them cool down because I had the intuition that the liquorous extract might not come out so easily then. I might have done that with gloves, considering I'd have found the right gloves that would not impair with the quality of the juice. Just consider it's the part of the recipe you can better, like possibly using an extractor of the kind B.' parents have in Burgundy, ity's something pretty simple that takes out the juice out of fruits or vegetables and which I may find also on a flea market [we're into self-sufficient economy here, can do with recycled tools and non-techie stuff]. At this stage you may begin to be tired of the whole process but hold on : all this trickle of syrupy, concentrated juice which you manage to get out of the quince parts through the kitchen towel will make your juice thicker even if you'll not notice it. Between each "pressing" you have to get all the mess off the towel, the quince parts having been reduced to some sort of sticky paste, and you need to summarily wash the towel with running water each time so that the fabric lets the juice go through the following time (caution not to clog the sink). Put this "paste" on the side (here on the dish on the right), you can make great "pâte de coing" later with it (another recipe though, I'll try that next autumn, B. 's mother makes terrific ones, I want to compete). Also at some point you may burst open your towel because you're pressing tightly something that is pretty hot, the job is better done with a thin kitchen towel but sometimes it's too much pressure for the fabric. That's it ! I managed to press all the quince in successive patches and the juice has been enriched by a concentrated extract. Now you put 1 kilogram of sugar in this juice (I bought a pack regular white crystallized sugar), plus the juice of one or two lemons. You mix the whole with a large spoon to make sure that all this sugar has properly melted into the juice. You may add a bit more sugar, I should have put more like 1,5 kg for the volume of juice here, but avoid adding too much sugar (2 kg would habe been excessive). Last stage : boil the juice with its added sugar for 20 additional minutes, at least it's the time if you added the correct amount of sugar. As I didn't add enough (one kilogram was way below the needed amount here which I estimate at 1,5 or 1,8 kg) I had to boil it more. The boiling will concentrate a bit more your juice into jelly, and the right way to see when it's reached the proper viscosity is to take a plate from the fridge (you'll have to put this clean plate in the fridge some time in advance so that it's really cold) and drop a couple of juice drops on its surface and see if the juice solidifies, tilting the plate to see if the drops stay put or not. If not, keep boiling the juice (with a low gas flame, no need to rush), it's not yet enough jelly-esque. Repeat the plate test several times until you're sure, putting back the cleaned plate back into the fridge each time. Don't expect to visualize the juice turn into jelly while boiling, this is misleading, it'll be still totally liquid in the kitchen pan but may have already reached the right viscosity level for a jelly, that's why the cold-plate test. When the viscosity test is positive, you've got your jelly, but don't fail on the last home stretch : fill you jars to the top, taking out if necessary the big parts that float here and there, seal the jars tight with the screw lid and turn the jars upside down, putting them in a cool place or room and keeping them untouched for at least 24 hours, I was said that if you move the jars too early it might not turn into a jelly and remain liquid. 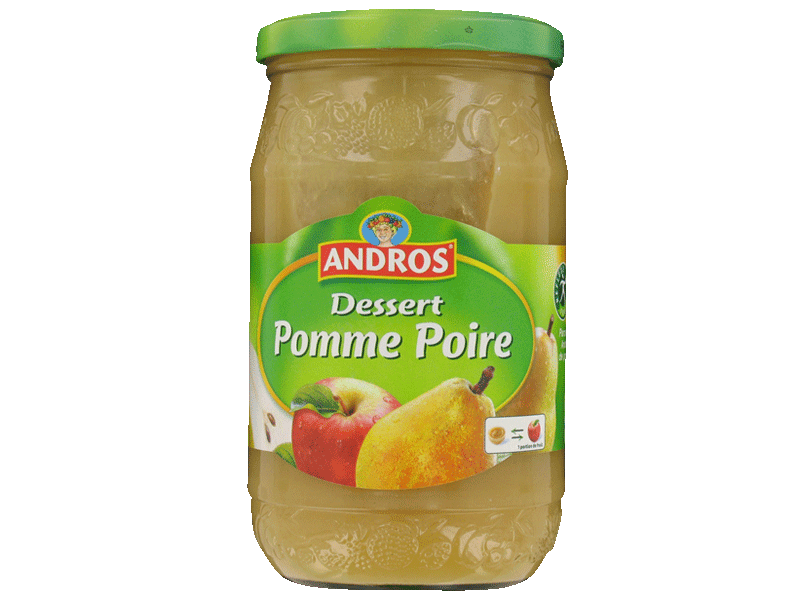 For the jars if you don't have any empty ones go like I did, buy some cheap applesauce jars like this one, in France you can find full 750gr applesauce jars for 70 cents at all the discounters, Super U, Leader Price or Lidl. I didn't even boiled the empty jars like I'm supposed to do, I just washed them under hot tap water and since last october no mold has developped (and if it did, you'll not die of it)..
You may be surprised to see this redish jelly when the juice was more like yellow or orange, but with the boiling and the concentration it slowly turned red, it may come somehow from the red seeds although few of them have slipped into the boiling pan. I made several quince-jelly sessions this autumn (I do one pot at a time) and sometimes the color of the jelly was not red, there may be a factor at work here. The Quince-jelly recipe at a glance : Cut whole quince fruits in pieces (including skin & seeds), fill pot Fill the pot with water, have it boil 45 minutes Take the water/juice out in separate bowl Press the quince pieces through kitchen towel, add press juice to bowl Add 1 kg or 1,5 kg of sugar, lemon juice, stir until dissolved Boil the juice for 20 minutes Do the cold-plate test for viscosity, keep boiling if negative Fill the jars, put the lids, store for 2 days in a cool place upside down without moving them . Unlike ordinary jam, say strawberry jam, you can savor quince jelly by itself without using a tartine or a toast, it's not overwhelmingly sugary, it's nicely subtle in the mouth, not overtly aromatic, it's also a bit acidulous with a hint of Bergamote I'd say, and much of its tasting quality is in its mouthfeel, its viscosity. I decided to try it with a Chenin, and I began with no less that Le Bel Ouvrage 2006, a Savennières (Loire) by Damien Laureau. I opened the precious bottle wondering how it fared after all these years, and it was pretty good. The wine is powerful and surprisingly has aromas of quince in addition to honey among the complex aroma range, also wood (a bit too much maybe). Damien Laureau is a reference when you look for top Chenin wines in the Loire, he represents the new generation here and instilled new blood into the Savennières old school. I then another day tried the quince jelly with François Chidaine's Montlouis Clos du Breuil 2013, and that was for me a perfect match. I often count on chance and randomness for my wine pairing picks, looking at what is easy to reach in my wine fridge and this often works, although B. (who is more serious and educated in that regard) applies more wine science to the exercise (for an equally successful result). This Chidaine wine is one of my favorite chenin wines lately, to be frank, it's alive and so pure and mineral, all subtleness and intensity at the same time, great job. And with the jelly it went so smoothly along, with none of the partners bruising its mate. This wine is not usually described as compatible with quince jelly but if the meanders of life brings you this odd opportunity, this is the right match ! I didn't take notes at the time but the wine was surprising, it was totally natural and organic (the guy has some experience in making fruit wines) and the hydromel [honey wine] brought its partular aromas in the blend, very tasty and tannic. Don't wait this stage to pick your quinces ! For some reason later in the season some of the quince tend to rot on the tree, it often begins with a spot and it takes over the whole fruit after a few days, drawing nice concentric circles in the way. I shot this picture a year or two ago, putting together the rotten fruits in the grass as I was picking the whole tree. They're not totally lost for me as I put them in the compost container and I'm sure the earth worms in there find lots of great stuff after they've completely melted into the brownish matter. Just cut one fruit in two, keeping the skin and everything, put it in the microwave oven with less than 1 cm of water for 3 or 4 minutes as such, no need to add sugar or anything, let the thing cool down and then eat, don't be put off by the disintegrated appearance of the fruit, you'll have this nicely sticking mouthfeel of the quince, and the natural sugar in the fruit is high enough to make it a very pleasant eat, including the skin which is then rendered perfectly soft and tender. B. usually mixes the cooked quince with some cooked apple, we're eating lots of these through winter with all the apples brought back from the Loire and the ones picked in an abandoned orchard in Burgundy, which I pluder every autumn when we drive to/from B. 's parents.